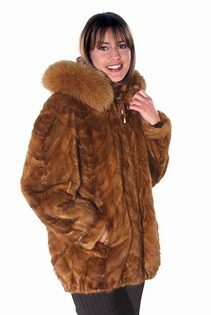 This female mink fur jacket has both style and substance. 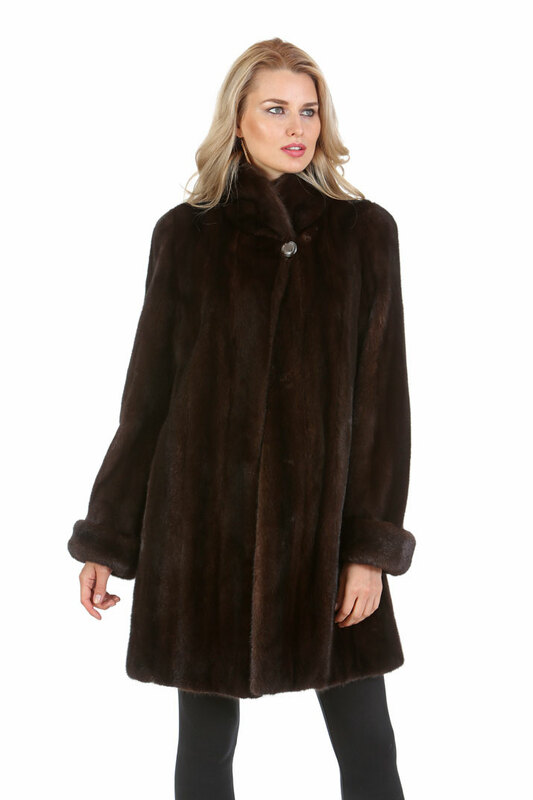 It creates an elegant statement of quiet good taste while being the one fur you will wear all season long. 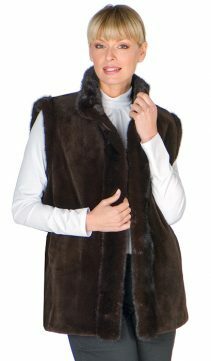 Beautiful over slacks or jeans, it’s a great walking coat, and with its above the knee length and modified shawl collar collar you can wrap yourself in warmth and luxuriate in its lush, silky texture, while wearing it over your finest evening wear. Also available in plus sizes. 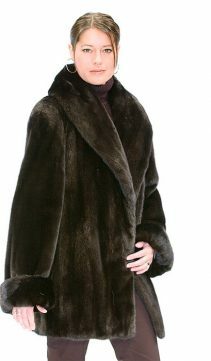 Fur Content: Natural Mahogany Female Mink. Length: 35". Side Seam Pockets. Hook and Eye Fur Closures. One button at neckline. 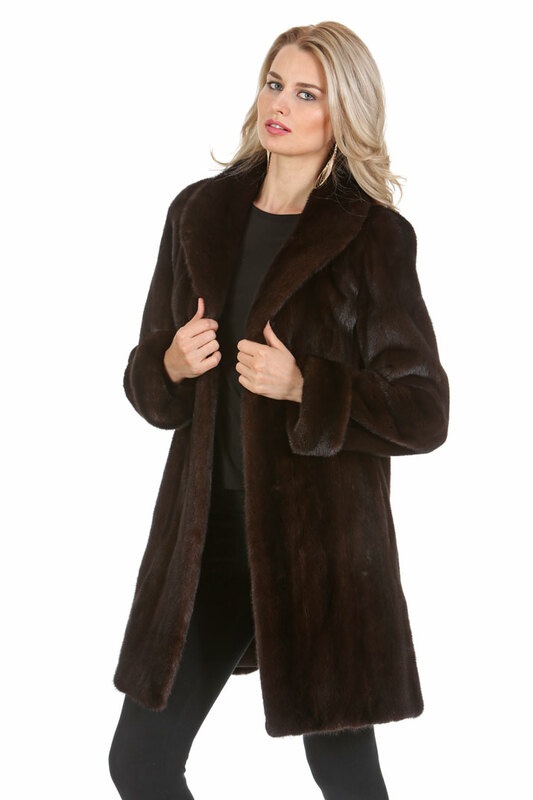 Also available in plus sizes and in ranch ( black) mink.